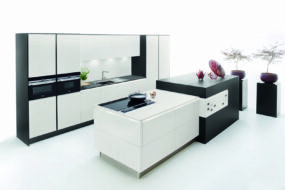 A handleless kitchen offers a simple, contemporary, linear design without fuss. The door fronts are sleek with complete panels and the handle is prebuilt into the carcase. Combining clean lines with style in an extremely hardwearing kitchen for a straightforward lifestyle. 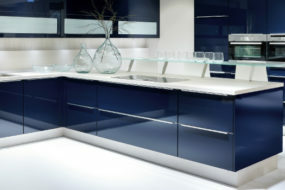 A gloss kitchen offers a timeless, luxury design that stands out. Adding a gloss door can transform a small, dark area into light, vibrant space which you will enjoy living in. 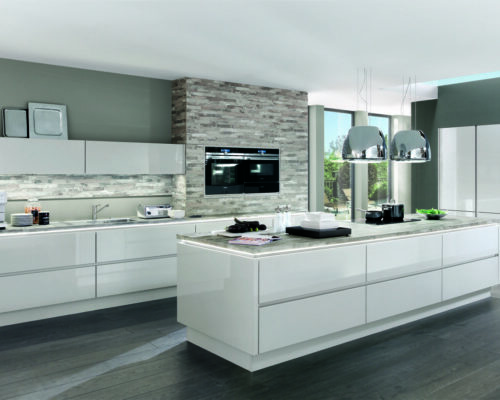 Whether you choose to add handles or go handleless, gloss doors will always add a contemporary style. 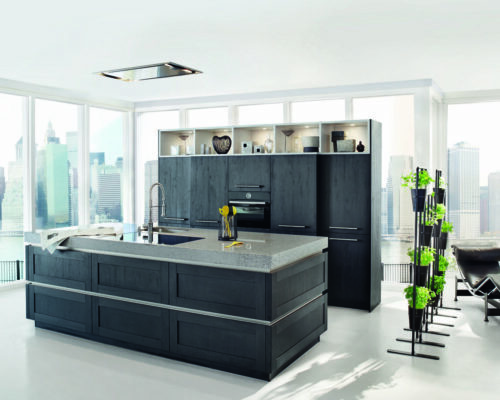 A matt kitchen offers a subtle, chic design that oozes class. With innovative matt finishes available, fingerprints are a thing of the past. 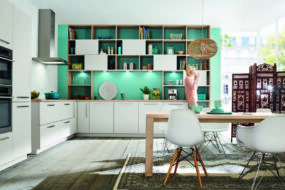 Matt kitchens are available in both traditional and modern styles and are low maintenance. 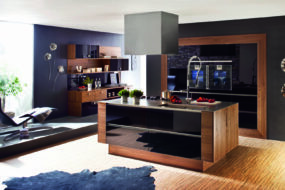 Wood design kitchens are very versatile. Whether you choose a wood effect or real wood, this style offers a country feel, traditional kitchen. There are a variety of frame doors for a shaker style or why not try a handleless wood finish slab door. "From conception to handover Kitchen Kit dealt smoothly and efficiently with all our requirements, our properties idiosyncrasies and my wives panic attacks! It was very reassuring to deal with such a team of perfectionists – from design, new walls, floors, heating, lighting and of course the kitchen itself. We are delighted with our new kitchen and I would thoroughly recommend Nigel and his team." "We can’t recommend Kitchen Kit highly enough. We spent a lot of time with various kitchen suppliers but as soon as we met Nigel at Kitchen Kit we were instantly very impressed and knew that he had the knowledge and products to meet our needs. The design and installation was impeccable and the team at Kitchen Kit were outstanding in ensuring they delivered on their promise to give us our dream kitchen. 10 out of 10 and 5 stars! Thanks so much."